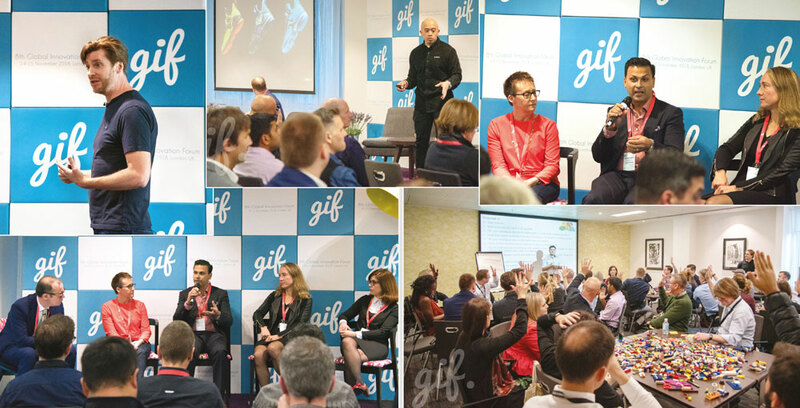 Innovators, inventors and entrepreneurs converged at the Global Innovation Forum held in London in November to discuss the latest trends in design, creativity, R&D and new product development. So how would you make innovation a valued part of the work culture in your own organisation? According to the internet giant, nurturing people’s creativity comes down to ensuring that they possess the five key ingredients that are essential in an innovative workplace. These are as follows: a shared vision, which ensures that everyone knows where the organisation is heading; autonomy, which allows employees to define their own work as much as possible; intrinsic motivation that occurs when you hire naturally curious people who like to learn; enabling employees to feel psychologically safe to take risks and try new ideas; and collaborating to make it easier for employees to find partners and work together. The company’s guide to fostering an innovative workplace includes for instance, how you get your people to be less afraid of failure. Google’s guide contains a template for holding a ‘pre-mortem’ discussion before a new project is launched. “Sometimes, before a project even begins, teams come together to talk about all the possible ways it could fail,” says Gary Klein, a well-known research psychologist. “This type of discussion helps normalise failure by talking about it openly. And more importantly, it can provide the benefits of learning from failure while avoiding the pain of actually failing,” he explains. Other tools include a lengthy template for setting your team’s shared vision including in-depth guidance for the discussion facilitator and information to encourage peer feedback in order to build connections between employees. On the topic of innovation, it is essential for countries to know where they stand on the Global Innovation Index (GII), which was launched with the goal of measuring and capturing the intricacies of innovation in societies across the world. Sri Lanka is placed 90th in the GII from among 130 countries. The assessment scores our island state poorly on the political and regulatory environment, spending, performance of human capital and research, and difficultly in accessing credit to fund innovations. The GII measures innovation performance across 80 indicators distributed among seven pillars. These are divided into inputs (institutions, human capital and research, infrastructure, market and business sophistication) and outputs (knowledge, technology and creativity). It’s clear that the IT industry is leading the innovation drive here in Sri Lanka. In a recent national branding attempt for the ICT/BPM (business process management) sector, the ‘Island of Ingenuity’ (IOI) initiative was officially launched last year. The government has promised an investment of Rs. 300 million to create a global centre of excellence in high end product engineering, IP creation and Knowledge Process Outsourcing (KPO). While Sri Lanka is carving a niche for itself on the global IT map, other sectors need to catch up. A leading management consulting firm in the island, Stax recently launched a research report outlining a dual hub IT strategy for Jaffna. In keeping with the national drive to develop a globally competitive IT industry in Sri Lanka, the report recommended fostering the Jaffna region’s significant potential for IT related services. “Among the noteworthy attributes, we observe a positive and entrepreneurial attitude among the Jaffna communities who also retain a strong connection to the Sri Lankan diaspora, which could lead to opportunities for investment and knowledge transfer. The region also maintains a high literacy rate while already possessing the necessary ICT infrastructure and a range of opportunities for IT education,” the report notes. Local technological innovations need to be encouraged and supported from start to finish, and should impact all aspects of life in the country. The Western Region Megapolis plan to develop the metropolis into a smart region is precisely what was needed to kick-start investment in upgrading infrastructure by leveraging on technology, which would automatically give rise to local innovation. However, one hears little of the progress – if any – being made in implementing this master plan. Rapid urbanisation and industrialisation are pushing the demand for energy to unprecedented levels while the nation’s outdated infrastructure creaks under pressure. Innovation is needed to find alternative energy sources, smart grids and new advanced energy storage technologies; and on the consumption side – smart cities, homes and buildings; energy efficient industries, transport and future mobility. The time is now… and we need to look at the culture of innovation or lack thereof, which future generations will be born into. It’s time to change and innovate. Innovation and creativity go hand in hand and the most valued component is the way people think. Hence, the attitude of people is the most difficult to change and is also mandatory to make innovation a fruitful one. Accordingly, shared vision should be something where everyone is a visionary to the organization’s direction and most importantly, contribute to this common vision. Many dilemmas occur at the personal level where conflict of personal agendas take over the organization’s action plans. It goes without saying that a shared vision is the most crucial and challenging. Among the five key ingredients, intrinsic motivation and psychological safety strike a close and mutual link, but if the shared vision is far away, everything would go back to square one. It’s not about spending millions but focusing more on ground specific details – from small goals to large goals – as the purpose of the project. The clearly defined inputs and outputs monitor the overall productivity. In a similar context, the report on the potential and attitude of making an IT hub and questions about a shared vision can be beneficial for Sri Lankans and Sri Lanka in its entirety. Whether the attitude and connections of the Sri Lankan diaspora (as indicated by the report) will be equitable and free from ethnic and related personal agenda, will determine how creativity reaps benefits.